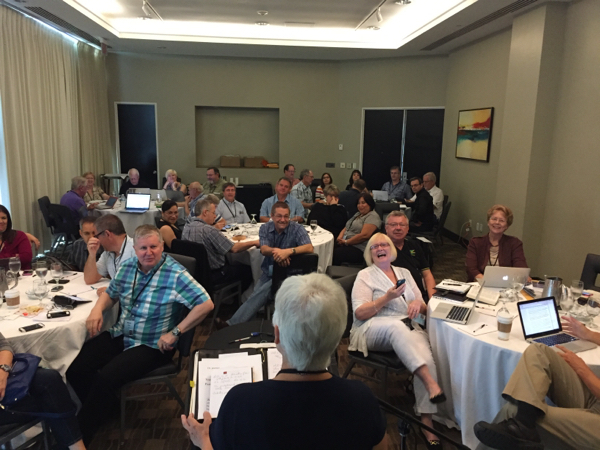 (Association of Latin America and Caribbean Missionary Educators) exists to connect and encourage LAC missionaries as they disciple, teach, mentor, and train others for ministry. 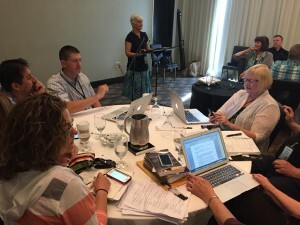 The theme of the 2015 Summit was, “There’s an App for That.” Its purpose was to help those attending find practical solutions in four major areas: teaching, team, tools, and technology. We were honored to have Murriell McMulley, a noted missionary educator with a broad range of experience in ministerial formation in the region of Africa help explore the area of teaching. She encouraged those attending, as good teachers, to desire to become better, to understand the way their students process and assimilate information in order to facilitate learning, which she described as the utilization of the material taught in the classroom. In four sessions, she helped us understand a “less is more” concept of teaching. In one memorable example, she likened the pure lecture form of teaching to overfilling a glass of water; much of that which the teacher desires to communicate to the student is lost because of the brain’s inability to retain the overwhelming amount of information being transmitted. Instead, she suggested breaking up content into 10 minute chunks and interspersing learning activities to help reinforce the idea being taught. 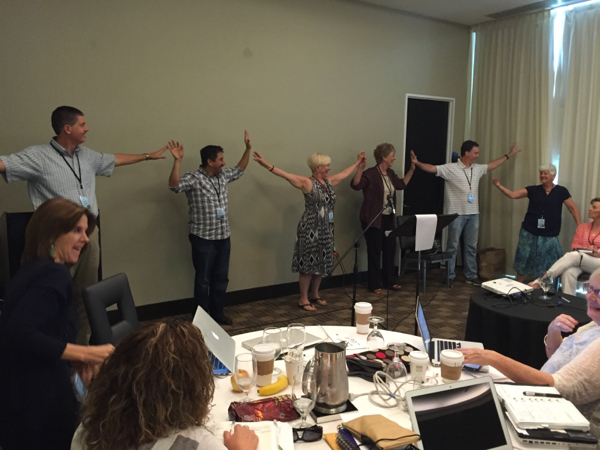 Her book, Transformational Teaching: Partnering with Your Students was distributed to Summit participants. 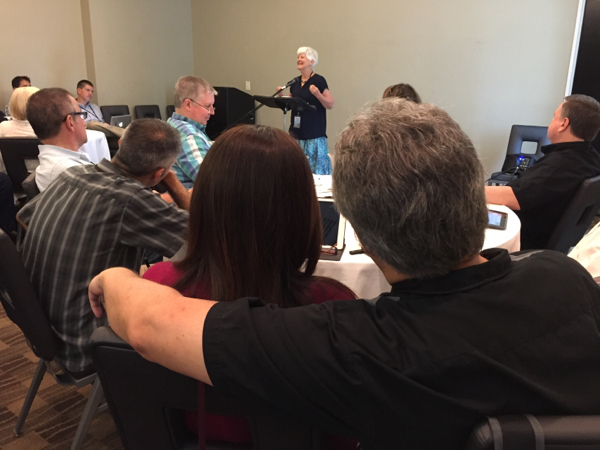 The afternoon sessions introduced attendees to a variety of tools and tech curated to provide help for missionaries in their everyday tasks including study, communication, administration, and travel. A helpful document was provided, listing several of these apps and the platforms on which they were available. In addition to participation from ACLAME members, Guillermo Powell, a representative from Logos Bible Software was on hand to demonstrate the latest version of their Bible study software package. Morning devotionals, encouraging an honest evaluation of our character and our intentional growth as individuals, and evening services, emphasizing teamwork, rounded out the Summit’s events. Several surveys have been received highlighting the worth of the event to those who participated. 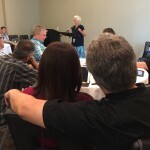 In addition to positive comments about the content of the sessions, many valued the time among fellow missionaries and the opportunity to network with those facing similar challenges, in or out of the classroom. One response seemed especially appropriate; it read, “(The Summit) gave me a reference point from which to evaluate my own experience.” As chairman of the ACLAME Leadership Team, it is my desire that the 2015 Summit continue serve in that capacity, yes, perhaps exposing areas of weakness, but serving as well as a springboard to help facilitate both personal and professional growth. PREVIOUS POST Previous post: What is our focus? It was totally worth it. 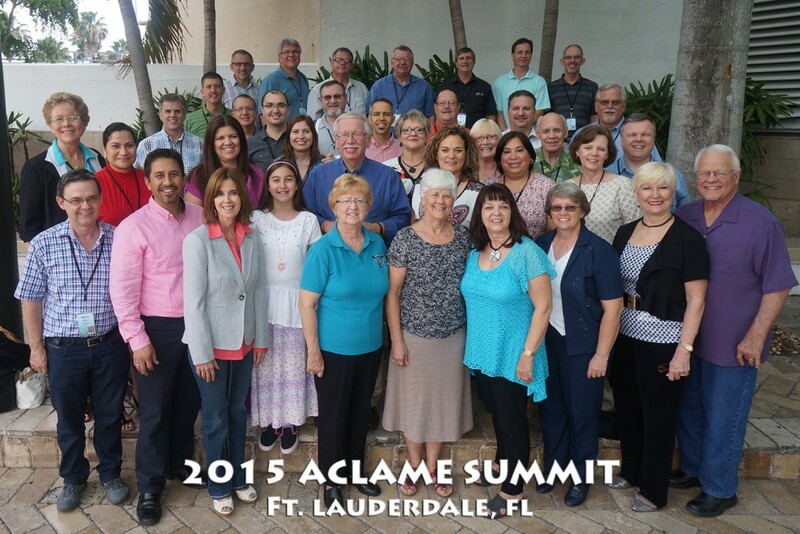 Thanks for all your efforts and those of the ACLAME leadership team to make these very worthwhile events happen. ¡Adelante! Thanks, Rocky. It was great to have you there! Thank you to all that helped to organized this event. It was well worth the time and effort to be at this Summit in order to learn from and be reminded once again by Murriell McCulley how important our job is as “Transformational teachers”. Thanks for the free copy of “Tranformational Teaching”. It was also wonderful that we were able to be one last time with Larry McNeil before he went home to be with Jesus. He reminded me that David and I were at the very first ACLAME Summit! May the Lord continue to give you all great ideas to help us be better teachers of the Gospel.